On Tuesday, Maddy Denner said she received confirmation that she would be accepted at Notre Dame for enrollment for the spring semester, beginning the third week of January. “I was already pretty sure I was getting in because of what Coach Sparks has been telling me but I’m relieved that it’s official,” Maddy said. At the 2018 CIF-State Track & Field Championships, Maddy and Elena Denner went 1-4 in the 1600 and 2-1 in the 3200, and nearly gave El Dorado Hills Oak Ridge (SJ) a State team title. In fact, it took the final girls race of the meet for Gardena Serra to take the top spot on the awards platform from the Denner twins. 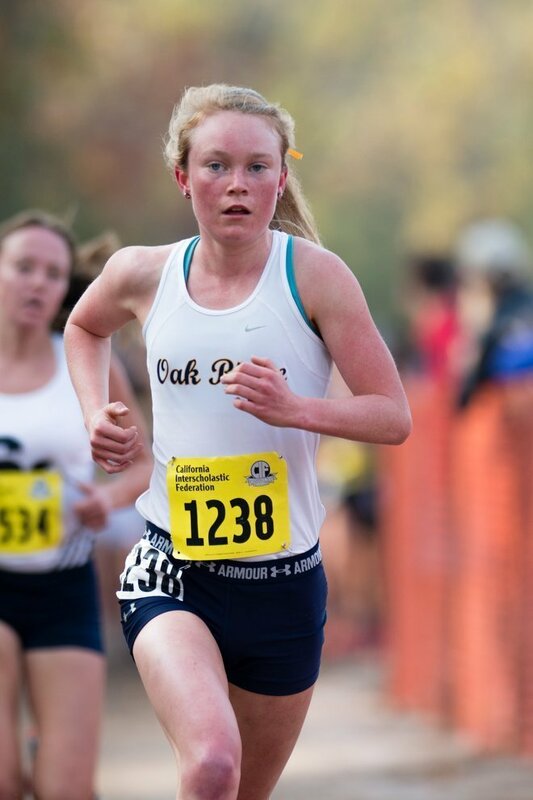 At the State track final, Maddy cranked up the volume with about 600 meters to go, as is her custom, and crossed in a 4:42.77 PR to beat Davis Senior’s Olivia O’Keeffe for the second year in a row. Elena was fourth in 4:45.49. Later in the 3200, it was Elena who took her time in the pack, moving up slowly before hitting another gear late and running away with the victory in 10:10:32. Maddy was second — exhausted but inspired by her sister’s performance, she said later — in 10:11.56, again crossing just ahead of O’Keeffe (now at Washington). 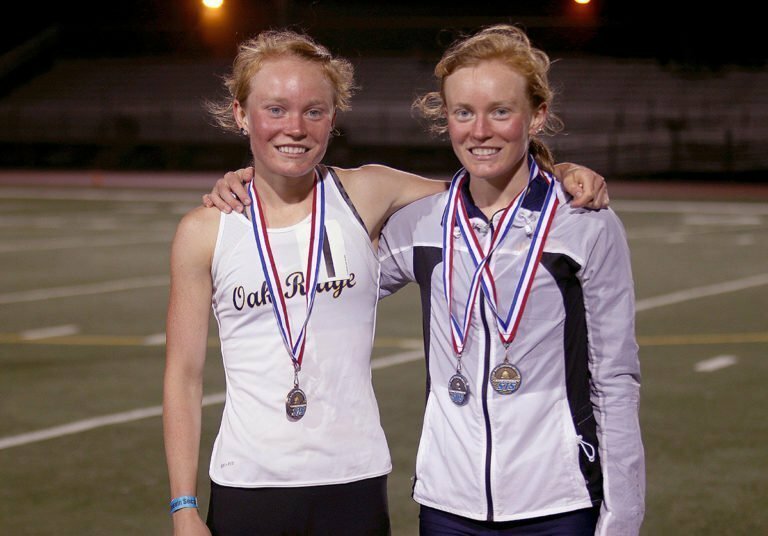 In a conversation Wednesday, Maddy spoke about the impact the State meet had on the sisters’ relationship. She said she has been keeping busy helping out with her middle school cross country team at Rolling Hills MS (she said the coach there, Mrs. Pickett, “was the one who really got me into running” (in 7th grade), and working a few days a week at Mathnasium. Math?